Is Park Circle Still a Good Deal? 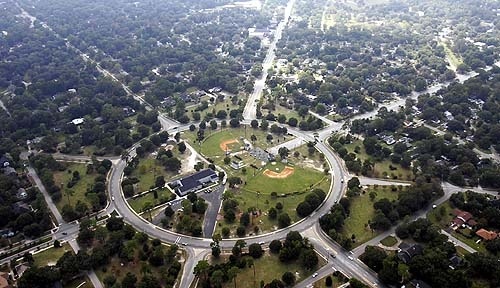 Venture just north of the Charleston peninsula and you’ll come upon one of the first planned urban communities in South Carolina, the beautifully greenscaped, hip and popular, hot neighborhood of Park Circle. Designed in the 1920s around a central circular park (obvi) with main streets radiating outward, the neighborhoods of Park Circle are composed mostly of traditional, midcentury homes intermixed with a number of contemporary developments along its perimeter. Anchoring the community is the business district of Olde North Charleston with its robust scene of restaurants, shopping, and nightlife. Long undervalued, the older homes of Park Circle continue to experience a rash of renovations that, along with newer construction homes, are driving prices steadily north. Home values in the Charleston area consistently increase overall – about 4.0% to 4.5% each year – with varying demand between individual markets. Since 2013, home values in the City of Charleston on the whole have increased 14.6% from an average of $164/sqft. to $188/sqft. While Charleston proper experiences the highest demand for housing, once overlooked alternatives to living on the peninsula are enjoying a resurgence. During that same period since 2013, Park Circle home values have increased a whopping 58.3% (! ), from an average of $96/sqft to $152/sqft. 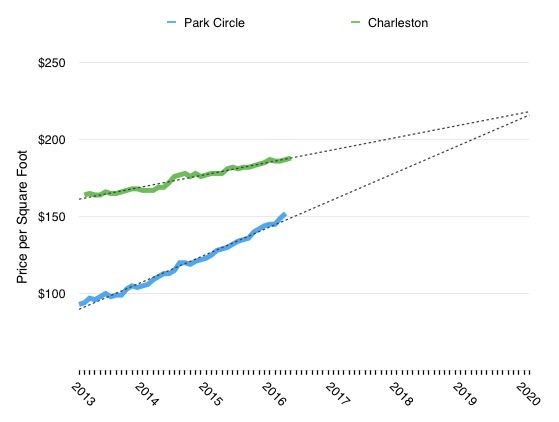 At this rate, the home values in Park Circle will be comparable to those throughout the City of Charleston within four years. Many of today’s homebuyers are forgoing the suburbs in favor of a more livable, walkable community, where a short walk or bike ride connects your doorstep to restaurants, markets, parks, and your local watering hole. While the city center serves in this regard, this is also where demand – and prices – are highest. The median home price in the Charleston area is $235,000 – for that price the closest you’re getting to downtown is a fixer-upper in North Central. As for other walkable communities, you can get a small two bedroom home near Avondale, a townhouse in Mt. Pleasant’s Old Village, or a condominium on Daniel Island. 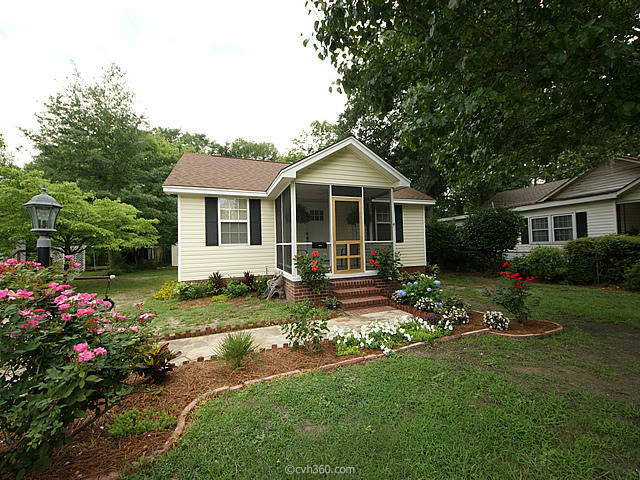 In Park Circle, you can have a three bedroom home – perhaps a midcentury ranch on a large lot, or a modern eco-friendly home in the Oak Terrace Preserve neighborhood – all within walking distance of a great burger joint, an amazing wine shop, and the weekly farmers market, just to name a few.